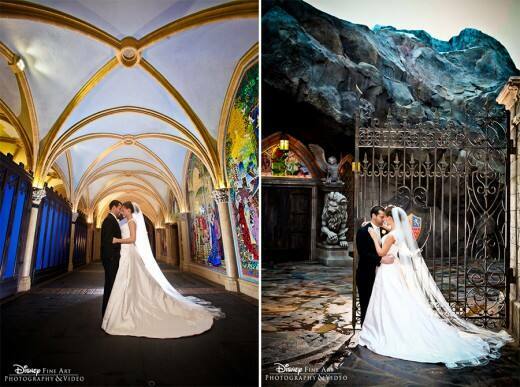 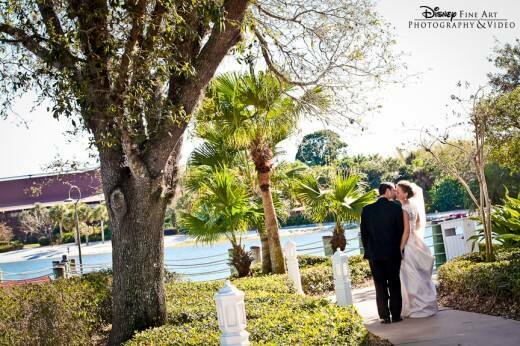 Ever since Sarah first caught glimpse of a beautiful bride arriving at Disney's Wedding Pavilion in Cinderella's Coach she dreamed of one day having a Disney's Fairy Tale Wedding of her own. 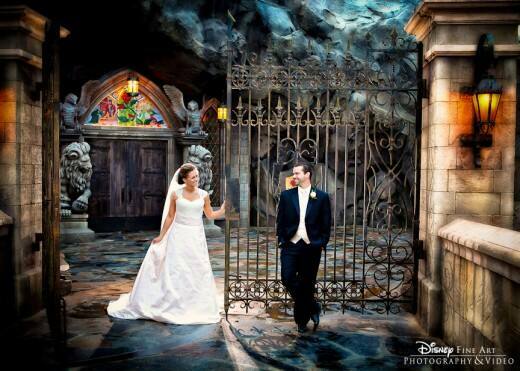 While Andy didn't quite understand Sarah's devotion to Disney at first, he quickly became quite fond of the magic as the two of them shared memorable vacations together at the parks and aboard Disney Cruise Line. 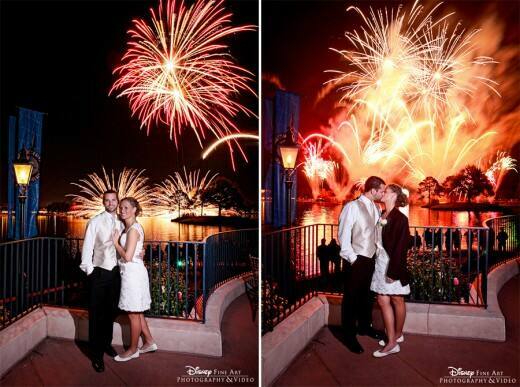 Andy even planned a surprise trip to Walt Disney World shortly after their engagement to meet with their Disney Wedding Planner and capture their abundant love for one another with an engagement shoot at Epcot. 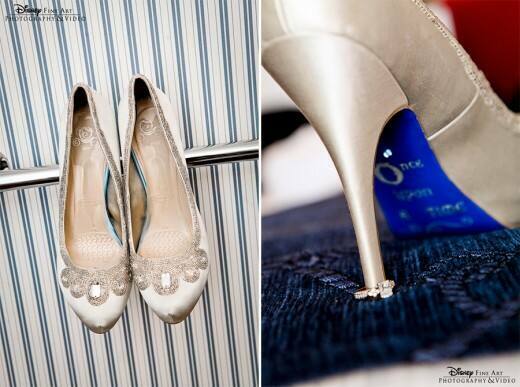 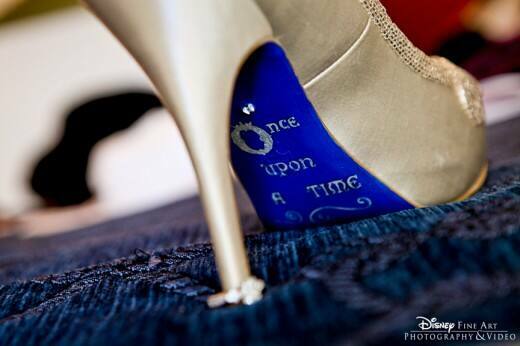 Sarah walked down the aisle at Disney's Wedding Pavilion in a pair of customized pumps from The Glass Slipper Collection at DSW with a "once upon a time" decorated sole. 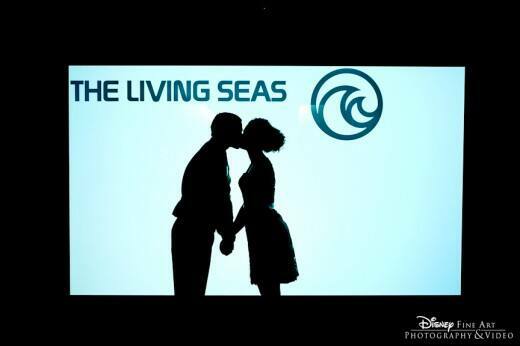 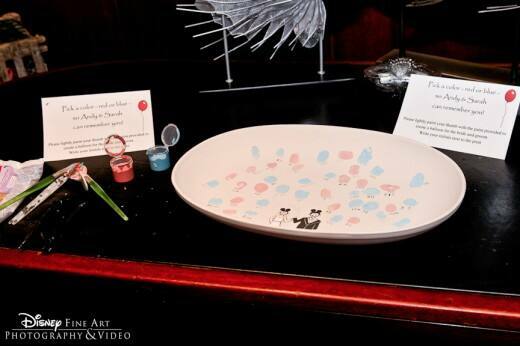 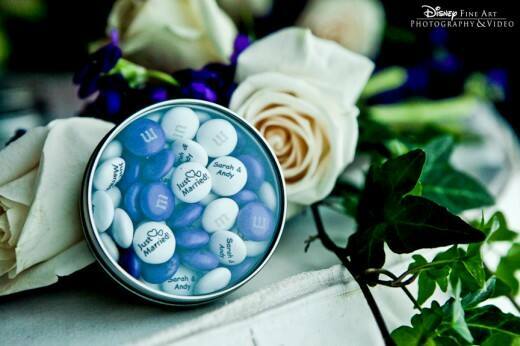 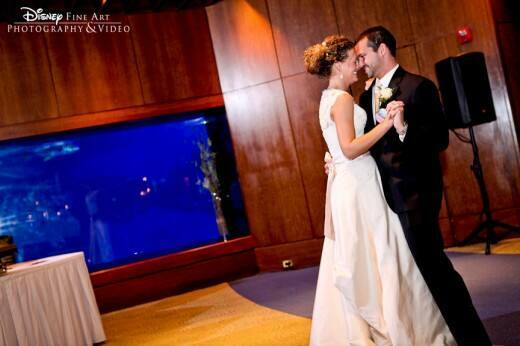 Special touches like personalized M&M's favors, an underwater reception at Living Seas Salon and a dessert party with a private viewing of IllumiNations: Reflections of Earth were just a few elements that allowed Sarah and Andy to bring their fairy tale vision to life.